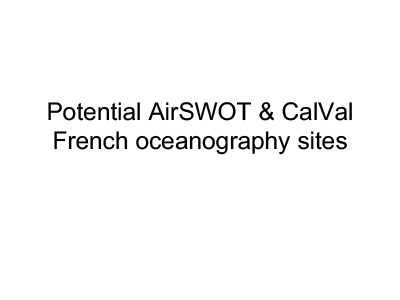 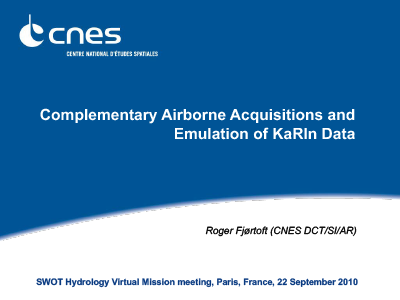 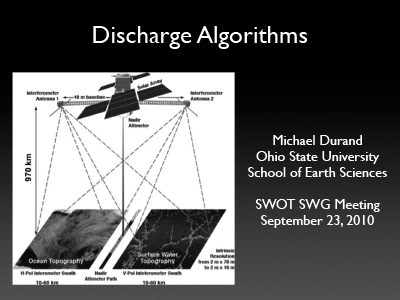 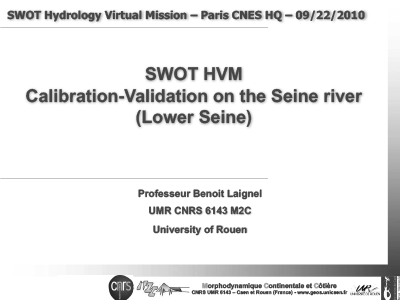 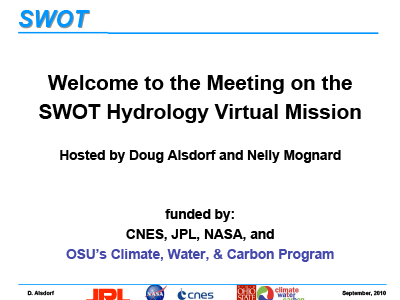 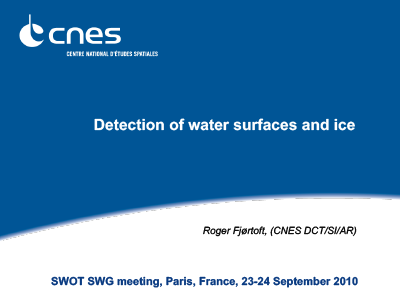 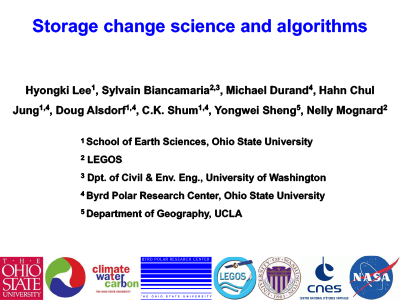 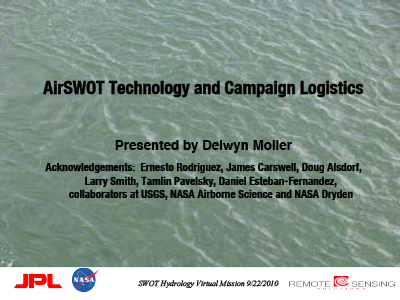 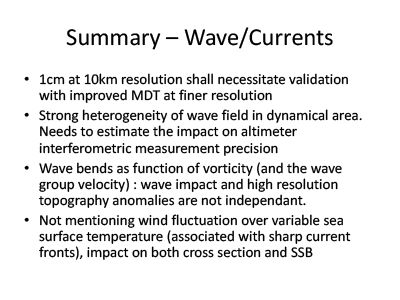 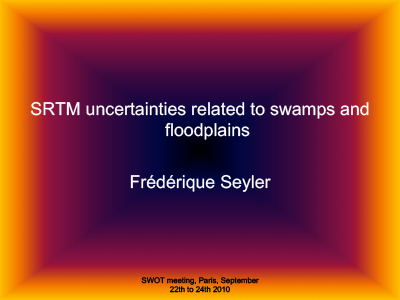 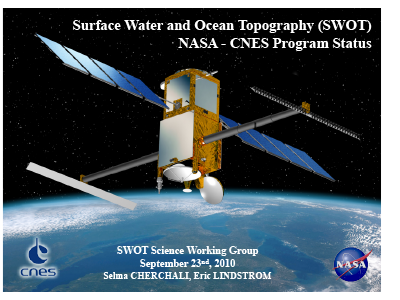 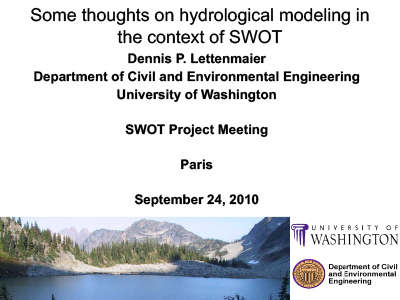 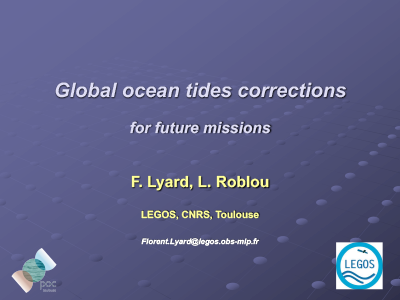 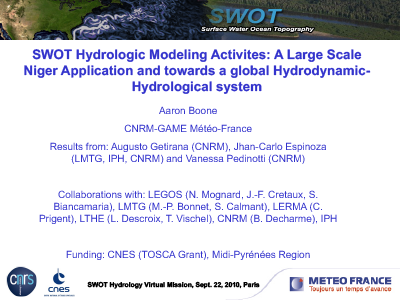 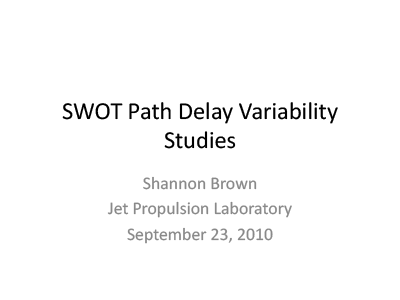 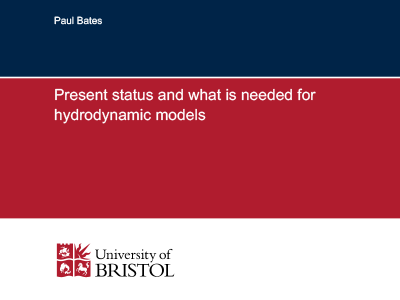 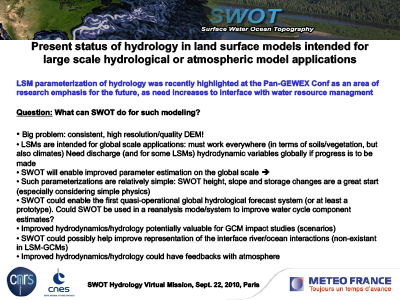 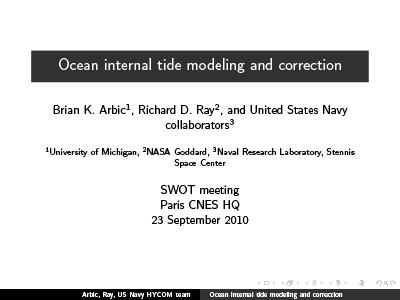 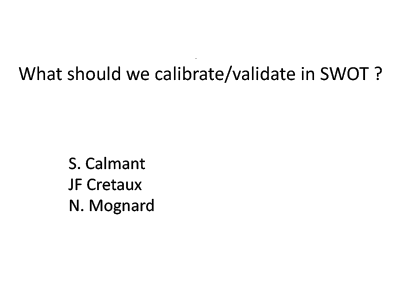 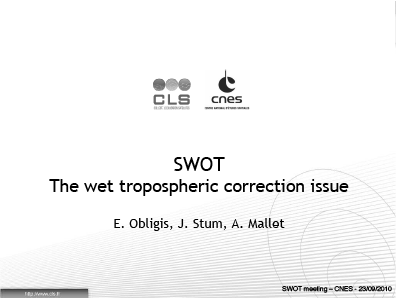 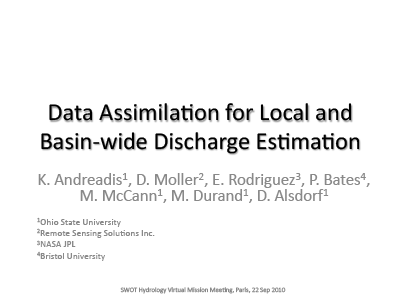 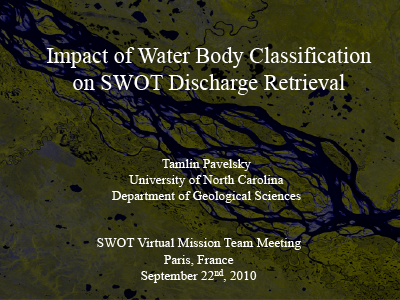 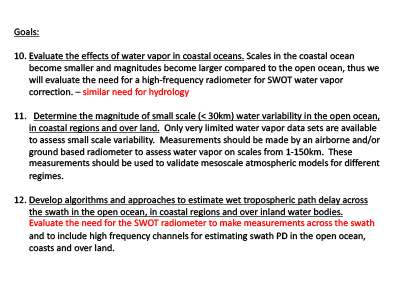 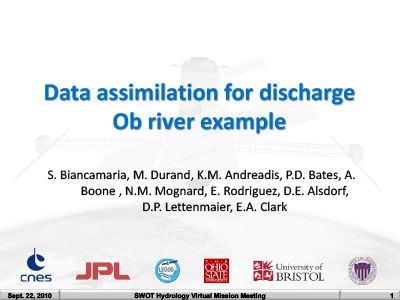 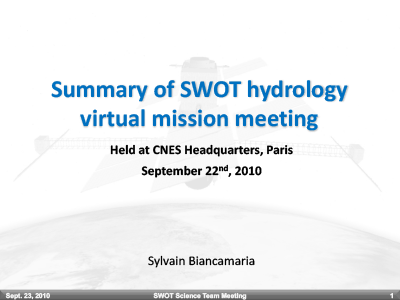 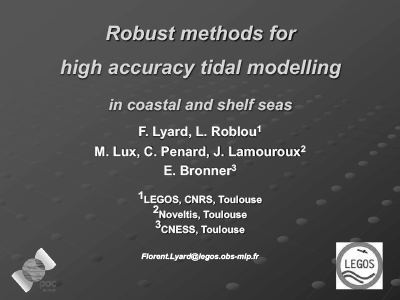 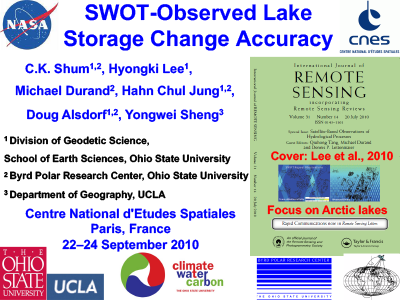 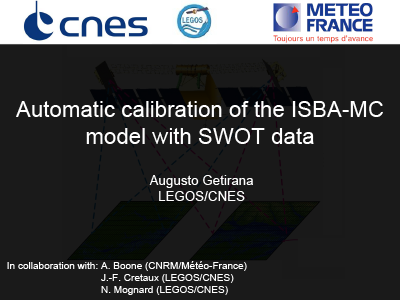 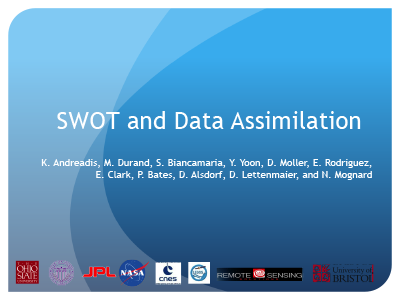 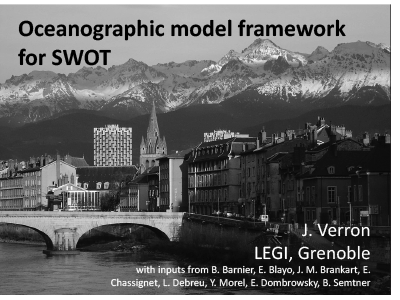 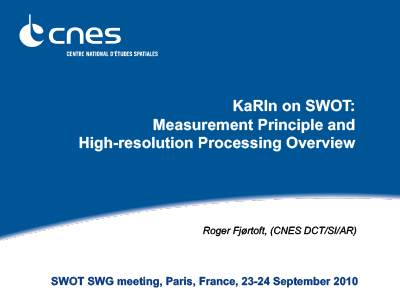 Held in Paris during September 2010, the first day of the Surface Water and Ocean Topography (SWOT) meeting focused on Virtual Mission activities including river hydraulics, storage, discharge, modeling, data assimilation, and field campaigns. 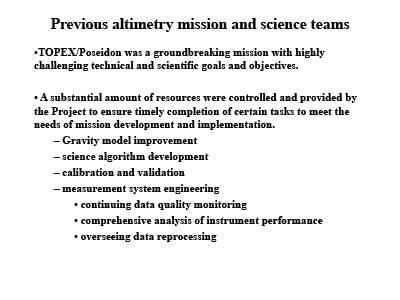 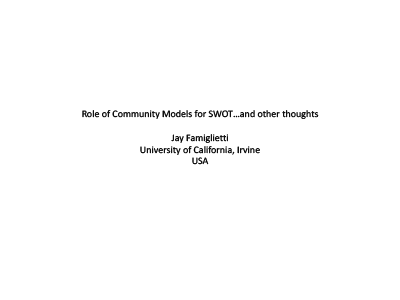 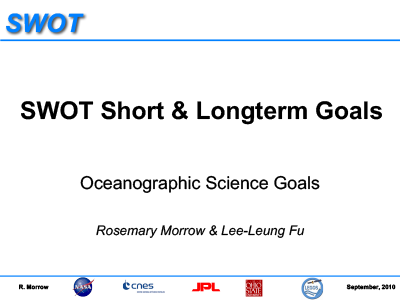 The subsequent two days were dedicated to developing the SWOT mission agenda and implementation plans until launch, beginning with status of science and algorithms, along with short- and long-term goals. 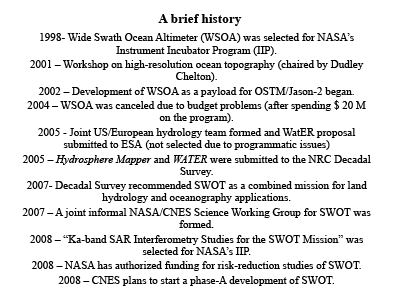 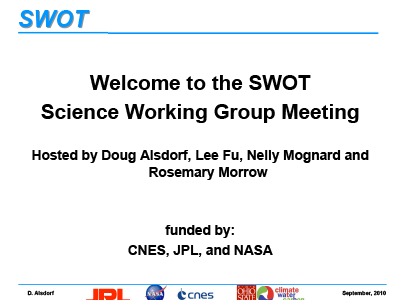 The meeting concluded with a discussion of AirSWOT, formation of the Science Definition and Mission Project Teams, and SWOT development timeline. 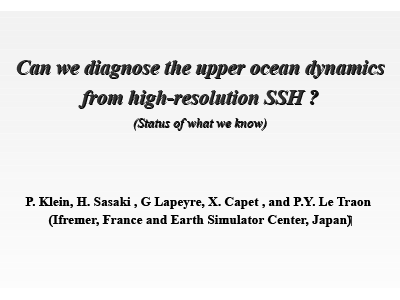 [23-Sep-10] Klein, P., Sasaki, H., Lapeyre, G., Capet, X., and Le Traon, P-Y. 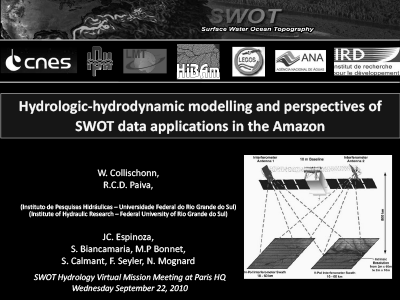 [24-Sep-10] Obligis, E. and Brown, S.
[22-Sep-10] Biancamaria, S., Durand, M., Andreadis, K., Bates, P., Boone, A., Mongard, N., Rodriguez, E., Alsdorf, D., Lettenmaier, D., and Clark, E.
[24-Sep-10] Lyard, F. and Roblou, L.
[23-Sep-10] Alsdorf, D. and Mongard, N.
[22-Sep-10] Collischonn, W. and Paiva, R.
[23-Sep-10] Arbic, B. and Ray, R.
[23-Sep-10] Lyard, F., Roblou, L., Lux, M., Penard, C., Lamouroux, J., and Bronner, E.
[23-Sep-10] Mallet, A., Lafon, T., and Albouys, V.
[23-Sep-10] Lee, H., Biancamaria, S., Durand, M., Jung, H.C., Alsdorf, D., Shum, C.K., Sheng, Y. and Mognard, N.
[23-Sep-10] Obligis, E., Stum, J., and Mallet, A. 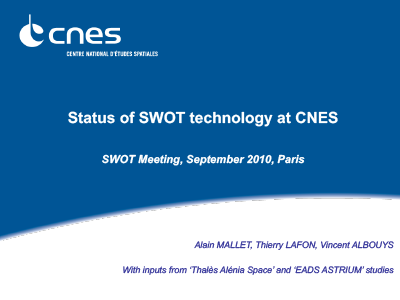 [23-Sep-10] Andreadis, K., Durand, M., Biancamaria, S., Yoon, Y., Moller, D., and Rodriguez, E., Clark, E. Bates, P., Alsdorf, D., Lettenmaier, D., and Mognard, N.
[23-Sep-10] Lafon, T., Vaze, P.
[23-Sep-10] Cherchali, S. and Lindstrom, E.
[24-Sep-10] Lafon, T. and Vaze, P.
[23-Sep-10] Morrow, R. and Fu, L-L.
[23-Sep-10] Rodriguez, E. and Mallet, A. 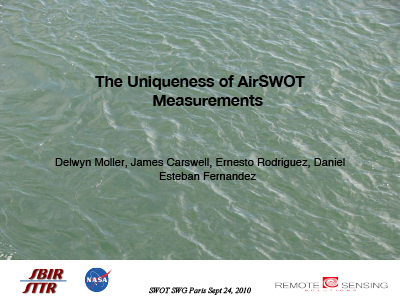 [23-Sep-10] Esteban-Fernandez, D., Rodriguez, E., Peral, E., Clark, D., and Fu, L-L.
[24-Sep-10] Moller, D., Carswell, J., Rodriguez, E., and Esteban-Fernandez, D.
[23-Sep-10] Alsdorf, D., Fu, L-L., Mongard, N., and Morrow, R.
[22-Sep-10] Mongard, N. and Alsdorf, D.
[22-Sep-10] Calmant, S., Cretaux, J-F., and Mognard, N.